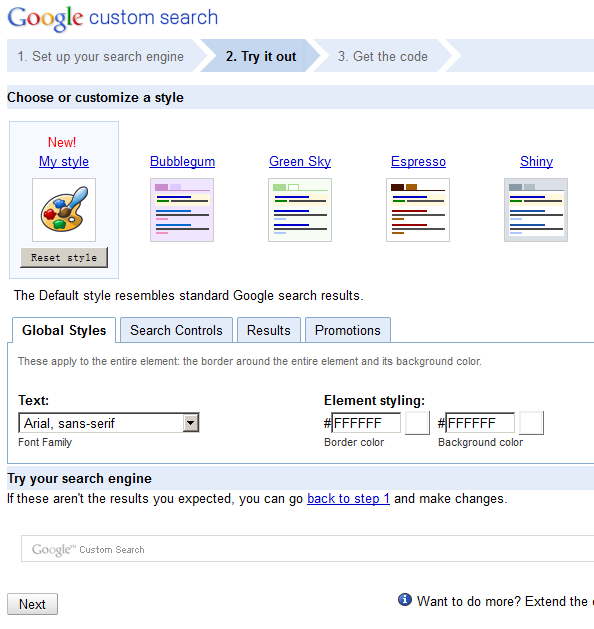 Then click the next button, we are on the “Choose or customize a style” page, choose the style you like, we use the default style. Choose the Results only layout. 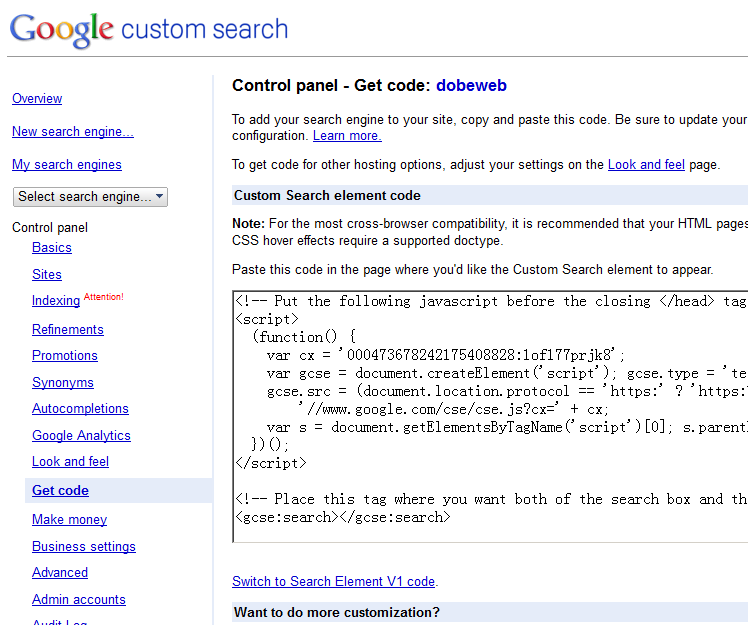 And you can custom other styles, at the end of the page, click save and get the code link. 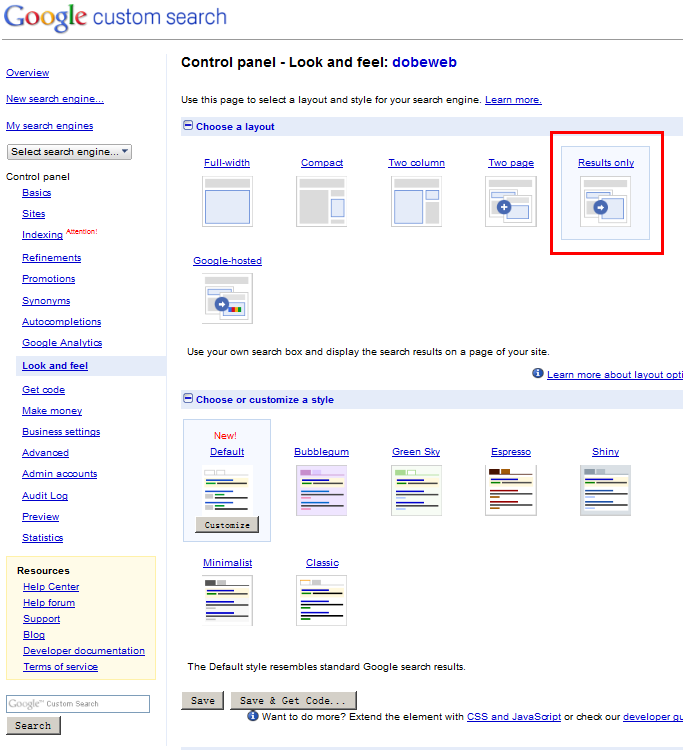 You want to display Google search results on your own pages, right? 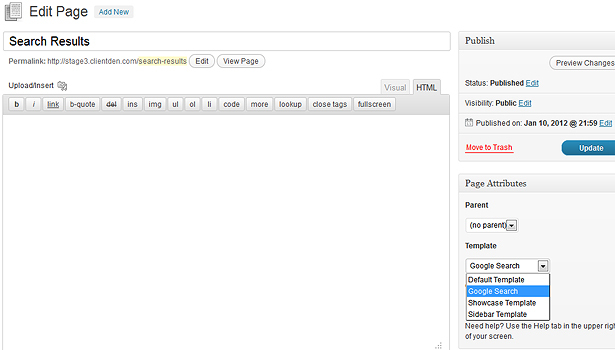 To get the custom search in place of WordPress’ in built search function we are going to use a custom page template. 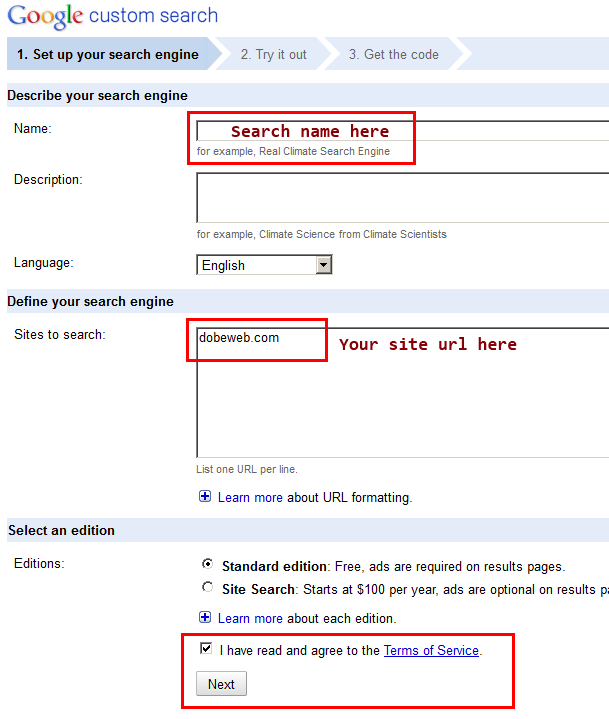 1) Create your search results page. 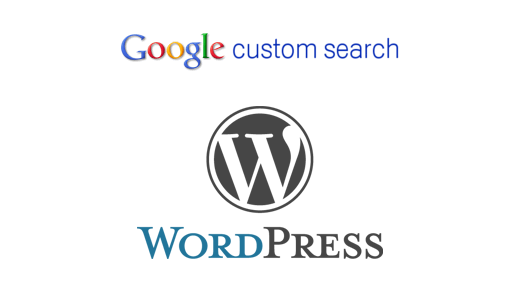 You will see my page has no content as Google will supply that for us, but the main thing we need to do here is change the template to our custom page template. 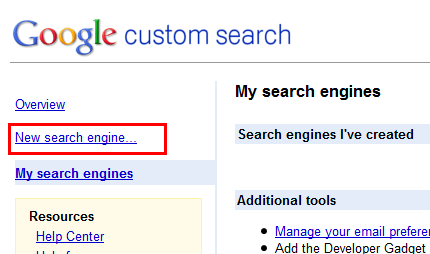 In this case we need to select the Google Search template from the drop down on the right. Once we have done that hit Publish. We will also need to alter one other snippet of code. 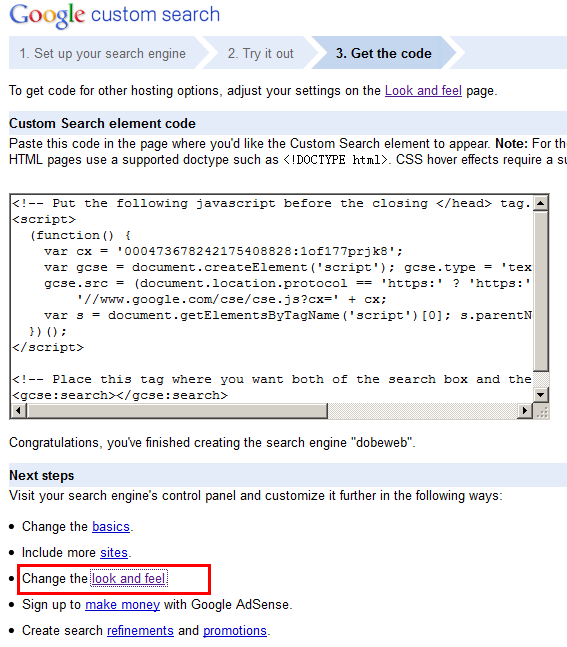 Find and open the searchform.php in your WordPress theme, we need to alter the name field from s to q, and the form action to the URL of our new results page (in my demos case: action=”http://dobeweb.com/search-results”). Once that has been changed we’re ready to go.